Here at the Wolfson Law Firm, our bilingual Fort Myers Bravo supermarket accident attorneys can help you determine if you are entitled to damages recovery for the injuries sustained at Bravo supermarkets in Fort Myers. It is completely reasonable to inquire about compensation for your injuries and damages. In fact, you owe it to your self - and more importantly, your family - considering the impact of medical bills, lost wages, pain and suffering on your entire family. First and foremost, if you want to get fair compensation, you shouldn't accept any offers from the insurance company of Bravo Supermarket. Insurance companies rarely offer a reasonable amount for covering your harms and losses. Instead, call our Fort Myers personal injury lawyers for your free consultation. We can go over the facts of your accident and provide you with our opinion as to whether any settlement offer is a fair and reasonable one - and we will do all of that for free. You can reach us in our Fort Myers personal injury office at 239-777-9954. Bravo is a supermarket chain that serves the northeastern and southeastern US market, including Florida. Their focus is on Hispanic consumers. They were founded in New York and headquartered in New York ever since. After opening in New York, Florida was the second US state to host a Bravo Supermarket. They started as a neighborhood store in New York, but nowadays have grown into a supermarket chain of more than 70 locations. When you go shopping at Bravo supermarket, the last thing that comes to your mind is that you could suffer injuries such as broken bones or brain injuries. 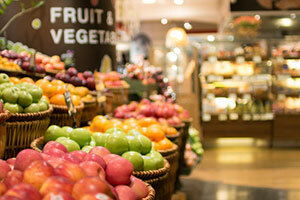 In case of a Bravo Supermarket injury in Fort Myers, Florida premises liability laws apply. These laws oblige Bravo to provide visitors and guests with a duty of reasonable care. This means that they must take all the reasonable measures for preventing forseeable injury-causing accidents. When they breach this duty due to negligence, accidents and injuries may occur. Bravo Supermarkets may be legally responsible for paying the damages resulting from the negligence of Bravo Supermarket. Don't try to get compensation from Bravo Supermarkets alone. It may seem like an easy thing to do, but it's not. Corporations and insurance companies invest a lot in defense lawyers, so at the very least you should call a lawyer yourself. It is bad enough that you were injured - don't compound the injury by trying to fight a national corporation like Bravo by yourself. The Bravo Supermarkets accident attorneys in Fort Myers at the Wolfson Law Firm handle cases on a contingency basis, so you'll only pay fees if we recover for you. The Wolfson Law Firm is located at 3049 Cleveland Ave #140, Fort Myers, FL 33901. We serve the communities of Lee County including Fort Myers, Lehigh Acres and Cape Coral. Our lawyers are bilingual and are ready to talk with you now. Call us at 239-777-9954 for your free consultation.